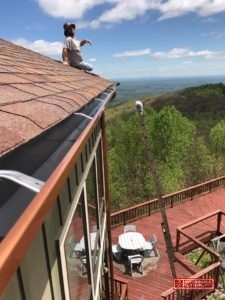 Affordable Gutters Plus, LLC is the group to call for your top quality rain gutter installation needs in Oakwood, GA. You get excellent rain gutter installation for your home with our total roof and gutter services. Our aim is to make sure each rain gutter installation will last you as long as you own your home, providing you with peace of mind and easing worries about roofing damage. Our contractors are skilled experts who are licensed to provide you with the best workmanship and customer service in town. If you have any questions about rain gutter installation, we are always ready to advise you. 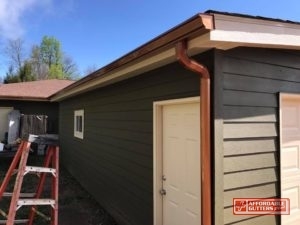 For the highest quality service in town and rain gutter installation in Oakwood, GA, give Affordable Gutters Plus, LLC a call today at 770-735-4433. Leaf Guard Gutters: Avert clogged gutters with leaf guard gutters for your house! Metal Roofing: For the best protection and energy efficiency around, consider metal roofing for your house. Seamless Rain Gutters: Excellent installation of your seamless rain gutters from Affordable Gutters Plus, LLC means you get a system that will not leak, supplying you with defense against water damage. And these are only a few of the first-rate services we offer for your house. Your house structure remains in one piece because your roof system acts as a defense to avert excessive damage from storms, hail, and even winds. Installing a quality gutter system can shield your roofing from unforseen damage caused by water, increasing its protection. Give us a call today at 770-735-4433 to speak with one of our contractors about your home’s roofing or rain gutter installation in Oakwood, GA. Houses are huge investments that are meant to last a lifetime. 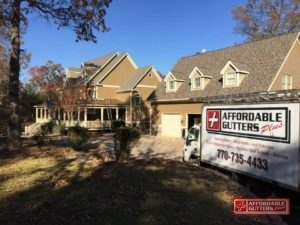 Affordable Gutters Plus, LLC knows that you should get services that ensure this, which is why we aim to supply you with gutters that will last as long as you occupy the home. Licensed contractors ensure you receive the systems your house needs with skilled installation techniques. Your roofing or rain gutter installation service receives the best customer service and workmanship around. Let’s get started today. Call 770-735-4433 for Affordable Gutters Plus, LLC and rain gutter installation for your Oakwood, GA home today!